On September 3, 1999, Ute Lawrence was involved in a horrific eighty-seven-car highway pile-up, the worst in Canadian history, that saw eight people killed. In The Power of Trauma, she draws on her mind-altering experience to develop a profound new perspective on life that has actually empowered her. Lawrence was nearly stopped in her tracks after staring death in the face, and her lengthy and successful career as a magazine publisher soon ended as she battled the haunting memories of that tragic day. 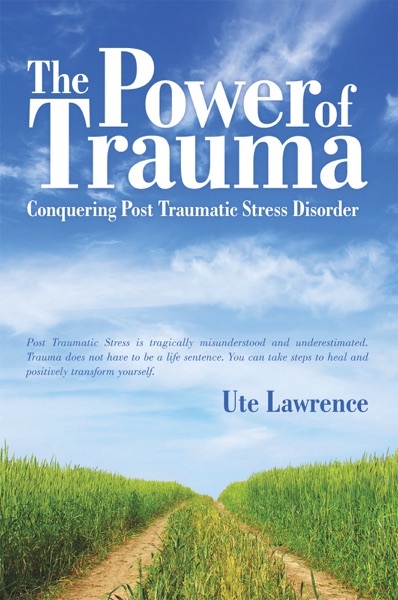 Her intense struggle with post traumatic stress disorder and the lack of helpful and compassionate guidance and information inspired Lawrence to share her experience, and her powerful healing, with others. In this candid and illuminating guide, Lawrence details the symptoms of the disorder, the therapies and programs that eventually led her to a more balanced and fulfilling life, and interviews with the professionals who aided her along her journey from a paralyzing experience to a pilgrimage of self-discovery. The Power of Trauma will help those who suffer from post traumatic stress disorder to better understand and accept their symptoms. Trauma doesnt have to be a life sentence. This guide will help you take steps to heal and positively transform yourself.